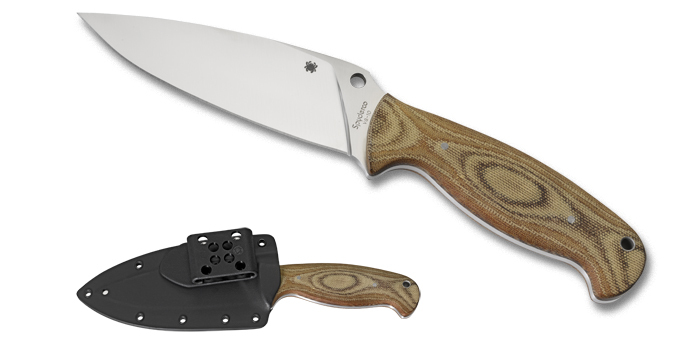 Description: The Temperance is a fixed blade folder designed for Camp Utility by Sal Glesser. It is also available in a folder version. Generation 2 adds canvas micarta handles and a sleeker hump. This entry was posted on Sunday, April 18th, 2010 at 5:57 pm	and is filed under 4" or Larger Knives, Designer - Sal Glesser, Features - Black Coated Blade, Handles - FRN, Manufactured - Japan, Steel - VG-10, Type - Fixed Blade, Type - Martial Blade Craft, Type - Utility Knives. You can follow any responses to this entry through the RSS 2.0 feed. You can leave a response, or trackback from your own site.